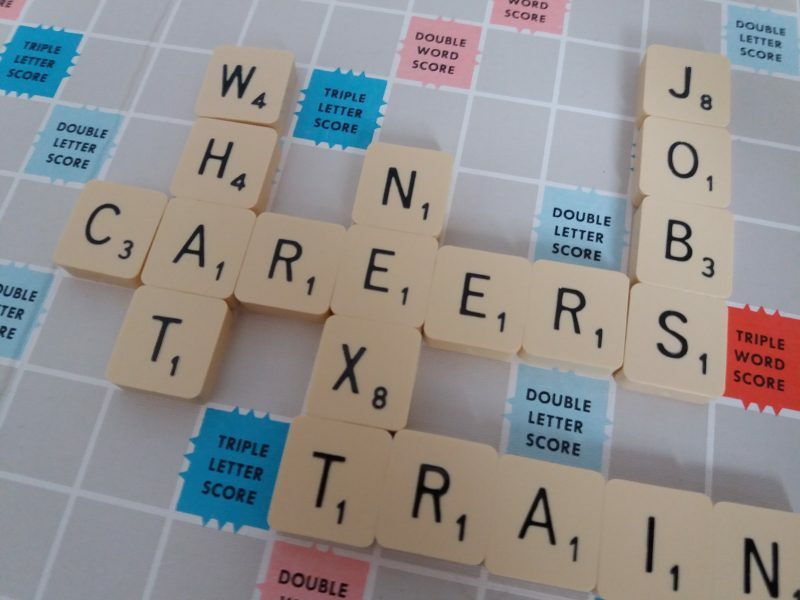 When do we need to talk about careers? This post is part of EdublogsClub. This week’s prompt is catch up week. I looked through the last page of EdublogsClub posts I have written. I noticed a theme. I do not do the things I love in my job. There are many things I love doing (being creative, blogging, supporting people, questioning the status quo…) but I rarely get the opportunity to do them in my job. In fact, I don’t know what kind of job I would be in where I could do all these things. And that’s before I count side projects and course-related work. But it’s interesting that I always use the top list when I apply for jobs. Because I figure those are the skills I use and everything else is just filler. The bottom list makes me feel proud of myself, because I have done a lot of things. Students should not have to worry about graduate employment while at university, outgoing head of UCAS says. I didn’t read the article because I needed to register. And I hate signing up for things. But I thought about the quote and it made me wonder, when is a good time to talk about careers? At my school I was taught that if I excel at some things I’m good at and interested in, I’d get a secure job and that was that. Happiness and wellbeing was never discussed. And I kinda wished that someone would have pointed out that workplace bullying happens, because I pretty much fell apart when it happened to me because I thought that adults would not behave like that! Anyway, that’s a side issue. Sometimes I feel like work, job or employment are dirty words. And I get why. I remember starting my humanities degree and a lecturer saying that if we thought the degree would get us a job, we shouldn’t be on the course. I did leave that course, but not because I was expecting the course to get me a job – but because the debt and workload didn’t balance with all my other commitments. I do remember the lecturer’s comments and I felt annoyed – yes, I agree that learning is wonderful (it’s when I’m most happiest) but it isn’t too pure to touch the real world. Learning doesn’t sit alone in a tower. Obviously, if you can spend your day getting paid to learn about your favourite things then good for you, but what about those of us who can’t? What about those of us who have found research interest area and we feel so excited, but we then have to put that excitement to one side because we are going off to our second job because our first job doesn’t pay well and we have to eat that week? I have to admit that I hated thinking about jobs at school and college. Later on, when I started learning for interest at home – I still felt that learning and work were seperate things. And that they should be. But whenever I was feeling fed up and undervalued at work, I’d look at degrees. Because my socialised brain still thought degrees were gateways to a better life for me. It’s weird that I could never shake that idea off. I still think it! How can we introduce the idea of careers into the learning environment? Especially when I’m not even sure what the key to employment success is. How do we make sure that students enter the job market with realistic expectations and a bucket-load of resilience? When I say realistic expectations I don’t mean lower your aim, I mean there’s a whole lot of other very talented people out there too and even if you get this job, the market is volatile. I think one of the best things I could’ve heard at school or college was that my future job will not define me. I’d love to have a job where I make a difference and where I can feel like my work is valuable. The truth is that may not happen. How can we prepare other people for that? Especially in a household like the one where I came from where my job, or lack of, is a constant topic of discussion. Where I feel embarrassed and ashamed frequently. Where I’m in my mid-thirties and my relatives are worried if I’m coping in my day-to-day life, in the same way that they worried twenty years ago. A few years ago, I went to a training session for Warp-It and met the founder Daniel O’Connor. We spoke about the idea of success and failure, and about how we’ve often had some really insightful experiences when things haven’t gone as we expected/hoped. Daniel O’Connor founded Warp-It after seeing how many decent items were being thrown away in his previous job. I liked how Daniel O’Connor solved a waste problem creatively, it wasn’t part of his old job to do that – it was a mixture of intitution, drive and maybe even a bit of being at the right place at the right time. Careers advice has moved on from where it was in my school days. The only thing I remember was meeting a fancy-looking lady in our careers office and her advice to me was to wear make-up (I’m being serious! I was too insecure to challenge/complain but I did reply that it was the middle of winter and I was in school). The careers office was a depressing place full of prospectuses. But now, I’ve met some brilliant people who work in careers advice – they talk about transferable skills and confidence-building exercises. I can get assertiveness training. ← Is it my body?